NHL News : Breaking: Rangers & Leafs may be discussing trade deal that does NOT involve William Nylander. Breaking: Rangers & Leafs may be discussing trade deal that does NOT involve William Nylander. We have an extremely interesting develpment following the huge trade rumors that broke out last night after Toronto Maple Leafs general manager Kyle Dubas was spotted personally scouting the Calgary Flames and the New York Rangers at Madison Square Garden last night. Of course given all of the talk surrounding the Toronto Maple Leafs as of late all of the speculation was that Dubas was on hand to discuss a potential trade, or to scout for a potential trade, involving Toronto Maple Leafs forward William Nylander. Nylander has of course been locked in a stalemate with the Toronto Maple Leafs when it comes to negotiations regarding his next contract and with just a little over a month to get a deal done there has been more and more speculation that the restricted free agent could soon find himself traded out of town. Although we do not know for a certainty that Dubas was in fact on hand to discuss a trade on Sunday night, a new report on Sunday morning appears to indicate that this may very well have been the case, or at least it begins to connect some of the dots out there right now. 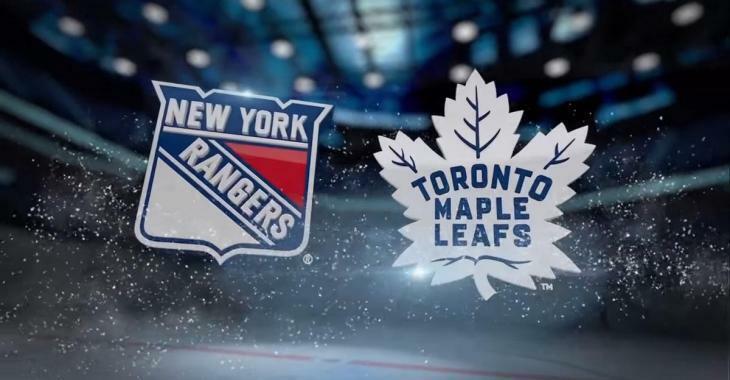 Joe Fortunato of Blueshirt Banter revealed on Monday morning that not only was Dubas in New York to watch the Rangers and Flames, but that the Rangers also had scouts of their own in Toronto over the week-end. You can suggest that this is merely a coincidence but with the Leafs general manager personally at the game in New York last night I think it's too much to suggest it was merely happenstance. The particular interesting part of Dreger's comments this morning however was a hint that the Leafs and Rangers may not be discussing William Nylander at all, and instead may in fact be revisiting a trade they discussed last season, one involving another Toronto forward. Getting Kapanen off the books wouldn't save the Leafs a ton in the way of salary this season, but it would avoid whatever cap hit Kapanen will command on his next contract, a contract that would be due to kick in next season. Additionally with the Rangers currently in a rebuild they are in an ideal position to take on some salary and this could be a way for Dubas to free up the cap space he will need to get Nylander signed to a long term deal. Reports have suggested a long term deal may be off the table at this point for the Leafs and Nylander, but one trade could change all of that in a real hurry.